THANK U MAN YOU SAVE MY LIFE…. 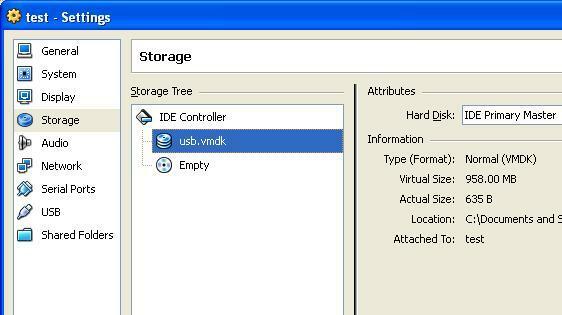 I mean you have to be root to access /dev/sdfX, so virtualbox must be running as root (or sudo) to access your usb drive. How to boot from USB in another Computer which have xp installed using virtualbox? it is a good tutorial. but in both the cases ie to create usb.vmdk and load it as hard disk in new machine, the cmd.exe and virtualbox must be run with administrator rights. this was the mistake i did at first. VB says the file is inaccessible. However, the CLI program claims to have succeeded in creating the USB.vmdk. and i checked. so why say its not accessible??? any answers? See the comments by Marcos Vives. My usb key is format with fat32 file system… in a problem? Please run the command with admin privileges. Right click on Command Prompt and choose Run as Administrator. worked really fine, just had to run CMD as ADMIN but also VirtualBox, and it worked like a charm thanx a lot dude! Much of the instruction is almost clear, but just enough unclear to make it confusing and create a situation where steps have to be executed several times. Learn better English. I am success making usb.vmdk, but i can’t insert usb.vmdk on existing Virtual Machine. Failed to open the hard disk D:\New MyData\VBOX\USB\usbFreenas.vmdk. The medium ‘D:\New MyData\VBOX\USB\usbFreenas.vmdk’ can’t be used as the requested device type. 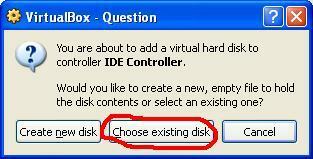 Run VirtualBox as administrator. If it install something after the run then wait and when it finish the installation close VirtualBox and run it as administrator again. I had the same issue using Windows 7 x64 & I am trying to install Windows 8 x64 RTM. Plop is ok but this is much easier and once it’s done you can reuse it anytime as long as you plug any bootable USB into the same USB port. I D\L the latest VBOX for windows and works on my 64bit Win7 on an AMD quad core as well as my 32bit AMD dualcore Laptop. Thanks heaps re-booting my laptop for testing grub and syslinux scheme’s was getting old and hadn’t found QEMU this is even better Kudos Mate !! and do what he said, mount it in VB all works, you shouldn’t get any error in mount if you run in admin mode. I got same error – then it worked. 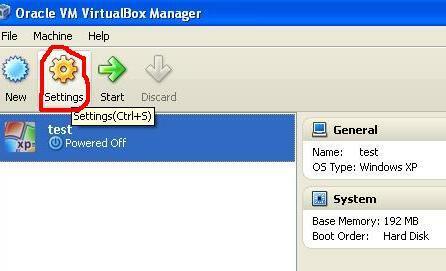 Try closing virtualbox before running the commands. Also I had to run the command prompt as administrator as well as load VB as administrator. Deer GOD WTF !!! Do you reinvent the wheel every day to drive and maybe Cut your toe Nails WITH A Blow Torch to? No need to hurt your self any more!!! hey! i’m thinking this could also work for a second windows installed on a different hard drive or I can attach a hard drive of a different computer using an enclosure. Is it possible? Very good method, thank you very much. Only one problem: any changes made to the USB drive in the virtual machine are not visible in the host OS until I remove it and reattach it. I tried a tool called sync.exe, who flushes the Windows RAM buffer, no change. I tried also to change usb.vmdk to writethrough, still no change. Is there any good setting for this, or even a tool/command (preferably fast too), perhaps even one that can be used in a batch file…? Sorry, I forgot to mention that I’m using Windows XP SP3 x86 and I’m using VirtualBox as admin. Well, I found a solution: using mountvol command to dismount USB drive’s volume(s) before starting the VM and to mount them again after closing the VM. Note step 7: change usb as primary master. Even if this means changing existing disks to secundary master. There is a tool who does that automatically. It’s called “Virtual machine starter”. Works with Qemu and VirtualBox. More: it’s able to automatically dismount the volumes from the USB drive before the VM starts and to remount them back after it’s closed. 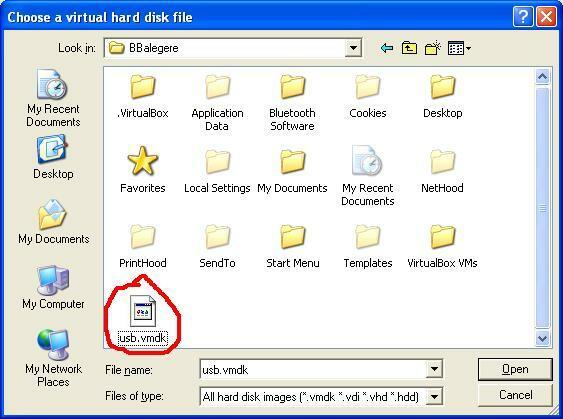 This way it can prevent any data loss on the USB drive (from been accessed simultaneously by 2 computers) and you can see any modification made inside the VM (to the USB drive) into the real computer right after the VM is closed. Where you can find it: go to reboot pro → Boot methods & tools → Boot from USB / Boot anywhere → Booting VirtualBox with USB workaround (last page of the thread). This is what I get every time with both USB flash drives I own. I followed the procedure to the letter and USB drives boot the real computers just fine. There is no error in usb.vdmk file that I can see, the drive is recognized fine. VBox 4.2.16 (latest) and every single one before it. 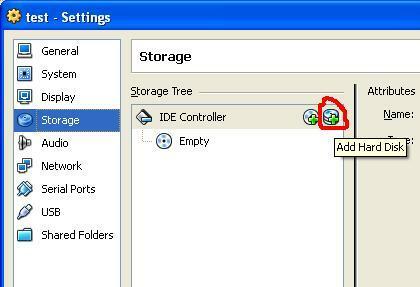 To avoid the mentioned error, disable USB device in virtual machine settings. Not worked on 1st try, but I run CMD as administrator it works perfectly.. Worked perfectly, thanks a lot. Worked great with a Windows 8.1 host and Virtual Box 4.3.10. USB stick with ESXi installed on it. I had an issue at first like Daniel and had to run cmd in administrative mode and also open Virtual Box in admin mode. This is awesome as I can now test some of my random boot drives around here. Awesome! Thanks for this! You saved me the hassle of swapping out a hard drive just to get an iso I forgot to copy from it! Failed to open the disk image file C:\Users\Mahesh\usb.vmdk. Permission problem accessing the file for the medium ‘C:\Users\Mahesh\usb.vmdk’ (VERR_ACCESS_DENIED). Tell it to run the VirtualBox as Administrator when you first open it. Fallo al abrir el archivo de imagen de disco C:\Users\PC\usb.vmdk. Permission problem accessing the file for the medium ‘C:\Users\PC\usb.vmdk’ (VERR_ACCESS_DENIED).